Contemporary Hearth Tidy Set is a perfect compliment to modern fireside. This Tidy Set comes complete with a brush and dustpan, both in black with silver handles. 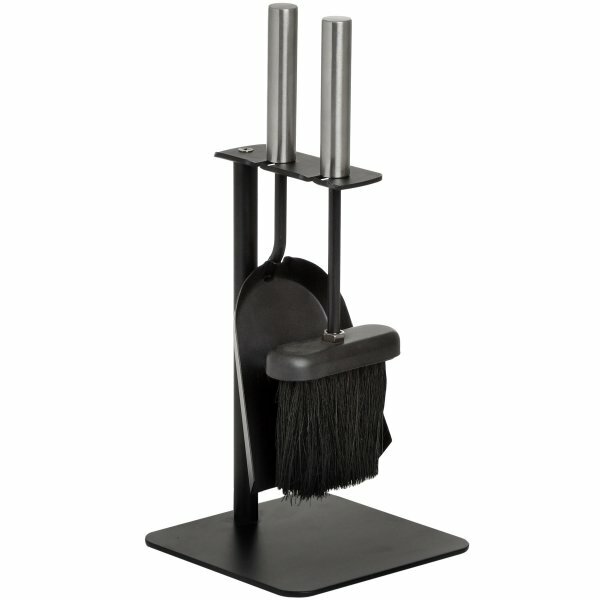 Add some practical Modern touch to your fireside with this Modern Black Pan and Brush Set. Dimensions: H: 35.5cm x W: 20cm Approx.